Second eBook experiment. It gets better! Simply upload a PDF and the site converts it to an eBook. You could start with a blank page and add content –including audio and video. You could change the layout of the book, the way the page flips, and also add a contact card. Sharing is a big deal here. It generates links and embed code for social channels.You could also email directly from the website to your network. 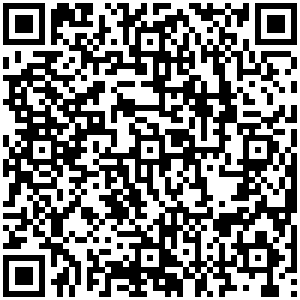 QR Code generator. Very neat feature lets you generate the QR code –on the right. The embed code was not available for WordPress. You need to upgrade to a paid account to get this. NOTE: The previous eBook Was created using YouBlisher.com. Creating an eBook from a PDF – Cool tool! I am testing a book creation tool called YouBlisher. The goal is to learn how it works so I could teach my students next year how to ‘publish’ in more ways than one! Test it out and let me know what you think. It’s free, so I don’t have to download any software. The content has to be created on a local computer, and not on the provider’s website. You need to convert your document into a PDF to upload it. Which means you create your book as a Microsoft Word doc, or Publisher. Alternatively, you could create a photo book using Photoshop or Powerpoint. As long as you save it as a PDF. The pages flip like a professional ebook. YouBlisher gives you a link to embed (which is not what I did here – I just linked an image of the cover, back to the site.) They also give you a Facebook embed code. A custom URL would be terrific! Right now it’s www.youblisher.com/p/1391665-Full-STEAM-Ahead. But hey! Note: The content for this eBook was culled from several posts on this blog. It took me just 20 minutes.